Letitia James, New York City’s public advocate, made history by winning the Democratic nomination for New York attorney general on Thursday. James, a Brooklyn native who became the first black woman to hold citywide office in 2014, has also become the first black woman to win a major party statewide nomination. James, who has been viewed as a progressive since she first held public office in 2003, raised eyebrows for accepting the endorsements of the state Democratic party and the incumbent governor Andrew Cuomo. However, the skepticism over her establishment backing was not enough to deter a victory. Collecting over 40 percent of votes, James easily defeated rivals Leecia Eve, Sean Maloney, and Zephyr Teachout in the primaries. The New York attorney general position opened unexpectedly when Eric Schneiderman resigned on May 7 after allegations of assault were published in the New Yorker. Before his resignation, Schneiderman’s office was notorious for resisting the current presidential administration—challenges brought forth by Schneiderman included investigations into Trump University and Paul Manafort— and James made it clear during her campaign that she would continue to take on Trump. 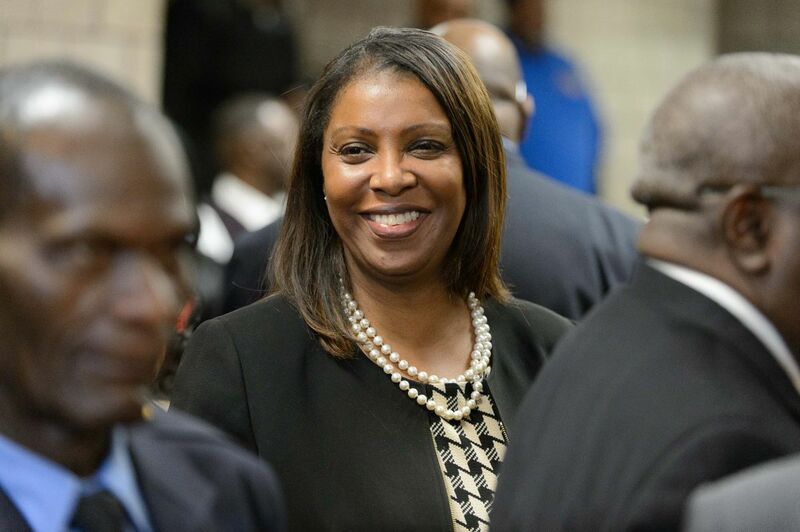 “The president of the United States has to worry about three things: Mueller, Cohen, and Tish James," said James in an interview with Yahoo News in August. She also addressed the topic during her victory speech on Thursday night. "To be honest with you, this campaign was never about me or any of the other candidates who ran,” said James as she addressed the crowd. “It was about the people, but, most importantly, about that man in the White House, who can’t go a day without threatening our fundamental rights, can't go a day without threatening the rights of immigrants, can't go a day without dividing us." James also promised to focus on political corruption, the affordable housing crisis, and lead poisoning. The lawyer, politician, and activist will also become the first black woman attorney general if she wins, as well as the first elected woman to ever hold the position. Professional ice skater and polisci major; Lover of all things travel-related or glittery.